Dr. Caleb Hudson received his Doctor of Veterinary Medicine from the University of Missouri in 2007. 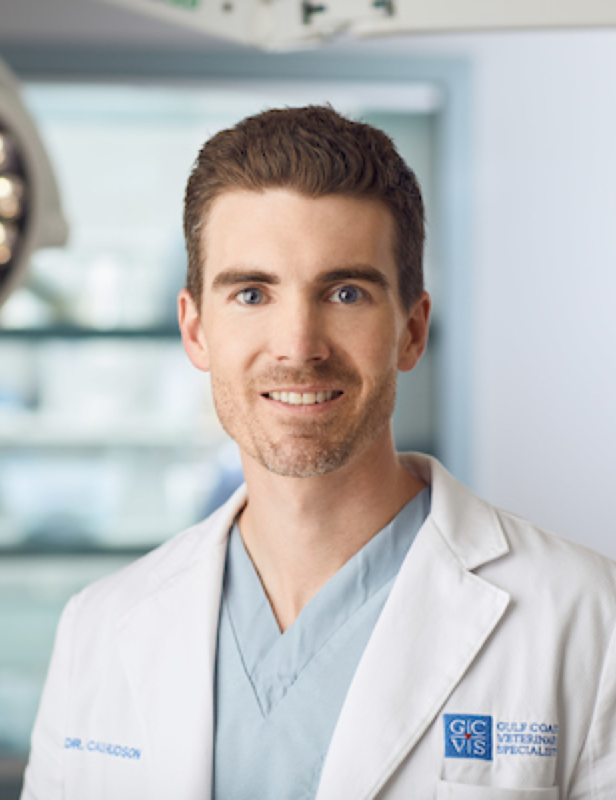 He completed a rotating internship at the University of Florida in 2008 and remained at the University of Florida for a surgical residency, which he completed in 2012. Dr. Hudson achieved ACVS board -certification in 2013 and continued at the University of Florida as a clinical lecturer until moving to Texas to join the surgical team at Gulf Coast Veterinary Specialists. Dr. Hudson is a native of Louisiana, and specializes in soft tissue and orthopedic surgery, with a particular interest in minimally-invasive procedures. Dr. Hudson was exceptional! He was able to diagnose my pet without a lot of expensive tests. Great assessment skills!